We are celebrating our 150th Anniversary! How did we get to be that old?! 2019 minus 150 is 1869. October 17, 1869 – first regular service held in Huntsville in Hunt’s Cabin by Rev. R.N. Hill. The Huntsville Methodist Church opened its doors for the first Sunday service in October 1897. 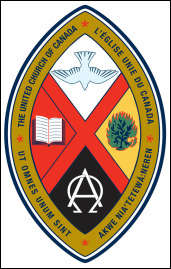 In 1925 after Church Union, the name Trinity United was adopted. 100 years later our church continues as a focal point of the Huntsville community. We are a vibrant congregation with new folks joining every year. Our Youth take an active role in our church life and Sunday services. Our church building includes several meeting rooms as well as “Trinity Hall” which can be used for banquets or as a gymnasium. These facilities are used by church groups such as UCW, Souper Sandwich, and Study/discussion groups. The community also makes good use of our facilities with groups such as Beavers, Cubs and Scouts, AA, Alanon, Alateen, The Table Soup Kitchen, volleyball, badminton, Kumon, school bands, Huntsville Festival of the Arts, Art shows and various theatre groups. Though our building has been here for over one hundred years, we have constantly worked to improve our facility to make it safe and pleasant to be within. The Sanctuary, offices, washrooms, Hearth Room and Trinity Hall are all wheelchair accessible. We welcome new members of all ages. Come and see for yourself!